On an early summer's day last year Simone and Lasath were married at a beautiful old church in Hawthorn followed by a very chic reception at Circa, St Kilda. The bride wore a gorgeous soft green dress with coral lace detailing and with accents of coral being used throughout the wedding including in the bridesmaids dresses we decided to use that as our main colour. Luckily it was peony season and the flower market was awash with the most beautiful take-your-breath-away coral peonies that once open look like a little sunset! 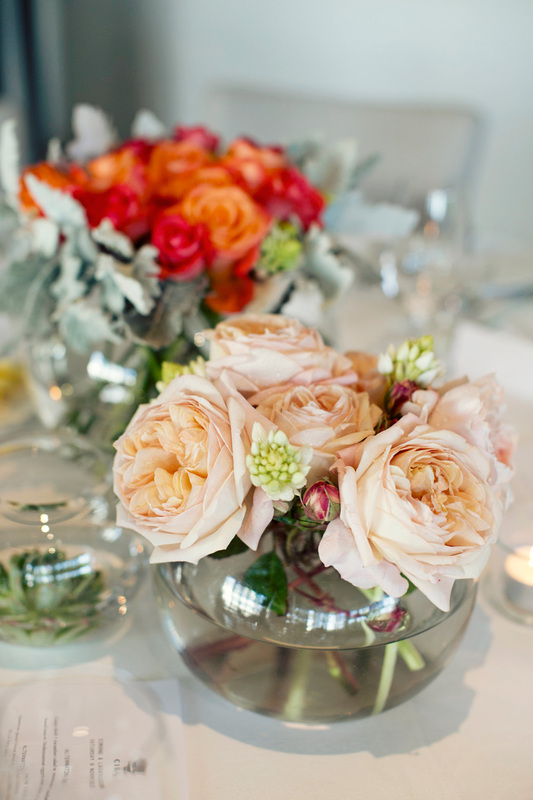 We used these for the bridal bouquet along with a pale apricot David Austen rose, a watermelon rose and suede foliage. 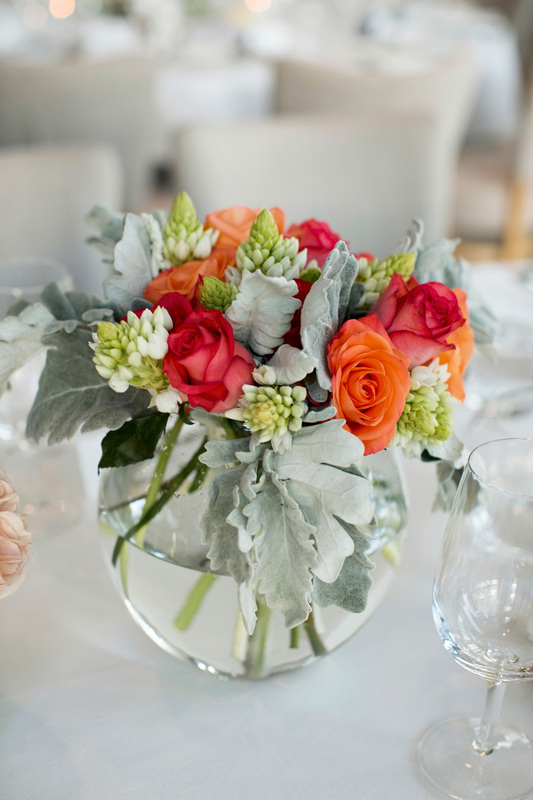 For the reception at Circa the bride wanted each table to have fishbowl vases of various sizes with flowers and foliage to compliment the bridal flowers. It was an absolute pleasure working with Simone and planning this stunning colour palate together!